With a community building project in Ngoma, a village in the southwest of Uganda, ICU works with a clear educational focus on creating a fundamental base for the local population. Next to the development of a primary school, a project for sustainable energy was started. In the near future ICU also wants to provide vocational education and create opportunities for independent entrepreneurship. Moreover, ICU works hard on the realization of a health clinic for the local inhabitants in and around Ngoma. Many foreign organizations that are active in Uganda do not have the opportunity of having their projects undergo a process control on a regular basis. Thereby, it has proven that initiating, developing and implementing projects often does not go smoothly. To give some support in these matters an advisory service was brought to life. 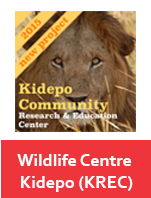 Advice, guidance and project management are services offered to organizations that are working in Uganda. 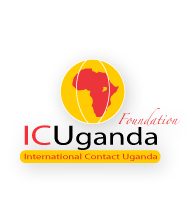 To carefully bring together the Western and Ugandan worlds, ICU offers a wide variety of volunteering projects. In selecting these projects ICU makes sure that both parties have something to gain from working together. To realize a sustainable construction, so called ‘cuddly projects’ are to be avoided. Also when it comes to volunteerism ICU is realistic idealistic. This means for example that in the preparation of volunteering, attention to the seamy sides of working and living in an entirely different culture is given with emphasis. 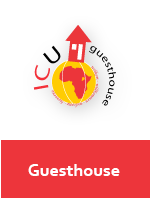 With on one side the function of housing researchers, trainees, volunteers and travelers under a common roof and on the other side generating income for running development projects, ICU offers a guesthouse in Kampala. 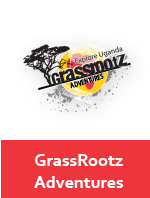 In Kampala and other places, guests can undertake their planned activities from within a safe and pleasant environment. 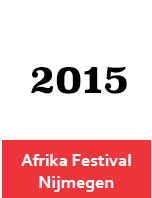 Uganda is an extraordinary beautiful country, both in its nature as in its culture. To make these aspects of inner and outer beauty available for a wider public, ICU organizes different expeditions and trips throughout Uganda. Besides visiting Uganda’s impressive natural parks, ICU offers the possibility to have a look and experience the village life of several rural communities.